Edward Soro is a VOU dancer of enormous energy and enthusiasm. He started dancing with the company in 2008 and since then he has toured with the company to Australia, New Zealand, India, China, PNG, the Solomon Islands, Guam, England, Scotland, France, Slovenia, Spain, Latvia and Lithuania. After graduating from the University of the South Pacific in Finance and Management and working for a prominent bank in Suva, Edward soon came to his senses and decided to quit his bank job and pursue his passion for dance full time with VOU. Since then he has taught with the VOU School and choreographed for the company but his most treasured accomplishment was travelling around the rural areas of Fiji learning and documenting traditional Fijian Chants and Dances. Edward has completed his Post-Graduate Diploma in Dance Studies at the University of Auckland and wants to go on to do his Masters in Fijian meke. He strongly advocates for the youth of Fiji to learn and take pride in their unique individual meke because if the younger generation choose not to learn and engage with their culture this treasured cultural knowledge will become extinct. Edward is married to VOU Member Sachiko Soro and they have two babies, Rasa and Yasi. Navi first joined the VOU School as a student in Contemporary Dance at the age of 16 under the tutelage of Sachiko and Edward Soro, with the aim of furthering his understanding of expression in movement. Navi has since become Fiji’s most successful young choreographers. Out of the 3,500 shows staged at the Edinburgh festival in 2016, Navi’s choreography “Are We Stronger than Winston?” scooped the sustainable practice award out of 26 finalists and only 11 awards up for grabs. His piece “Are we stronger than Winston” was a challenging work that looked at the human face, and the human cost of climate change from the perspective of struggling Pacific Island communities. 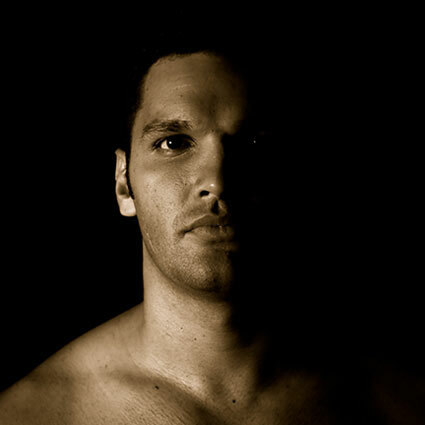 Whilst at VOU, Navi underwent traditional dance research in remote villages of Bua, Rabi and Koro Island he utilized his experience as inspiration for his choreography for “Mataqali Drift” which was a work that investigated the cultural impacts of urban drift from Fiji’s rural areas into the urban. Other full-length works that Navi has produced include “Na I Yau Talei” that was commissioned by an Austria theatre that investigates the energy of Fijian ceremony. Being an accomplished musician as well, Navi created the very fun hour-long percussion extravaganza titled “Gone Sisi jive”. Navi is passionate about climate change and has made various shorter works around this theme of our slowly sinking islands. Navi continues to develop his choreographic practise he has been mentored and studied under indigenous American choreographer Rulan Tangen, Navi says this experience dancing in New Mexico USA totally shifted his embodiment of dance and the relationship between the human body and the environment that surrounds it. Navi has just been awarded a choreographic residency with Force Majeure company in Sydney, Australia. He was also selected as a Pacific Island representative to the World Cultures Connect conference on building artistic international collaboration in Edinburgh, UK. Navi has toured with VOU over the last 5 years to Canada, USA, China, PNG, New Zealand, UK, Austria and represented Fiji at the Festival of Pacific arts in Guam. 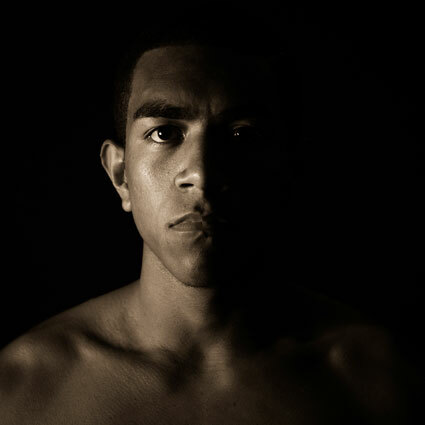 Navi is currently the head of the VOU Dance School in Nadi and the VOU performance team in Nadi, he hopes to further his education in Dance be a catalyst to make a difference in the world through inspiring others and communicating important world issues via the powerful medium of dance. Rusiate’s personal story is an example of how dance can revolutionise a life and be a blessing for a whole family. Rusi is from the village of Colo-I- Suva, he is from a single parent family and has three younger sisters. When he was only 13 years old his mother could not afford to send both him and his sisters to school. So Rusi decided that he would stop going to school in order for his sisters to get the basic education that they need to get ahead in life. Rusi then started a life on the street as a street kid and shoe shine boy. He would try and make a few dollars here and there but as he describes he was just wasting time and getting up to mischief. Since he had not finished school, even though he wanted to work he found it so hard to find employment. It was then his mother saw an ad in the newspaper for a VOU audition and suggested he come to the audition and try to see if he could get a job as a dancer. His family had never ever heard or thought of being a dancer as an actual job. Rusi came early and eager to the audition although not the best dancer in the room, due to his effort and enthusiasm he was offered a permanent job with VOU. He has since been working, training and now teaching with the company for the past three years. Since joining the company he has joined indigenous peoples from all over the world in a traditional 3 week canoe journey in Canada, represented Fiji in the world Hip Hop championships in Las Vegas and created a piece about a specific Lali (Fijan drum) for the Auckland Museum in New Zealand. Rusi has also developed his skills for teaching and is now a teacher at the VOU School. He is a favourite amongst the children and teachers the boy’s 5 – 8 years classes and also beginners contemporary dance. Rusi’s full time wage is now supporting his whole family and he is paying for his 3 sisters, transport, food and school associated costs. In 2014 Rusi was invited to work in Taiwan with the dance company of Mr Jack Sun, here he developed a one-hour work with the company that was toured to Europe. Rusi has been on various other tours to Europe and performed at festivals such as Glastonbury and the Edinburgh Festival. Rusi is currently researching traditional Fijian dance and the role of the “Daunivucu” or role of the traditional dance maker in a village. He is developing a knowledge and love for Fijian meke (traditional Fijian dance) and wants to be able to create meke and pass this art form down to future generations. This is just one example of how creating opportunities through dance can revolutionize a life and the lives of their family. Sesalina Suliana (Lina for short) comes from the beautiful Polynesian Island of Rotuma and joined the VOU family in 2015. Lina is an accomplished Polynesian dancer and Hip hop dancer, she wants to challenge the stereotype in Fiji that Hip Hop is only meant to be danced by men, by showing that women can be just as dynamic in this art form. When Lina first tried contemporary dance she felt like she was finally communicating as her true self. Since then Lina has gone on to represent Fiji in contemporary dance at the Festival of Pacific arts in Guam and tour to far away places to perform such as China, Latvia, Lithuania, Slovenia, France and the UK. Lina is the head of the VOU Dance School in Suva which currently has over 100 students enrolled. Lina mentors the young dance teachers to be able to provide the best possible dance education in their different genres. Lina played the main character in VOU’s production at the Edinburgh festival titled “Are We Stronger than Winston?” this production won the prestigious Sustainable Practise award. Lina played the role of a mother who lost her baby in the horrific cyclone that hit Fiji in 2016, the story was based on a real life family and illustrates the tangible human cost of climate change. The way Lina performed this piece spoke to people’s bones, and perhaps she was able to connect to this role so well because she herself is a mother to a very well loved little baby boy called Christian. Tevita is from Natoka, Navatusila in the province of Navosa. Since joining VOU in 2013 Tevita has found that dance can be a physical manifestation of our emotions and the expression of the soul – you can either explode with rage, joy, sorrow or just simply implode and just be silent as well. Tevita an accomplished and athletic performer and has toured with VOU to places such as Indonesia, China, Singapore, Austria, the UK and represented Fiji in contemporary dance at the Melanesian Arts Festival in Papua New Guinea. In the last two years Tevita has found a skill and passion for choreography and has been developing this new-found calling. 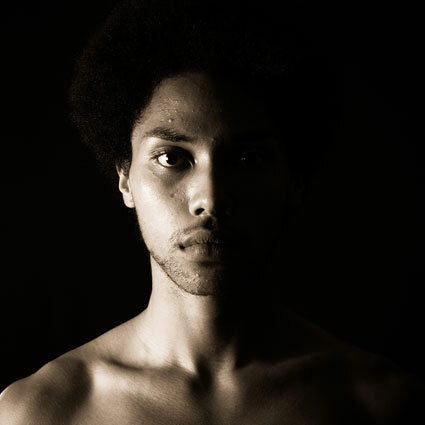 Tevita was instrumental in the choreographic work “VU” that was staged at the Tempo dance festival in New Zealand. He is also passionate about Hip hop choreography and is responsible for the recent Hip hop explosion to hit Suva city. Tevita is a popular teacher at the VOU School and with his education in accounting he also helps out with the accounts department. VOU has taught him a lot of life lessons including developing himself as an artist and more importantly, as a person. Every time Tevita performs he feels like he learns something new. Ke-Anna first joined dancing as a form of therapy to get through a very personally challenging period in her life. Through dance she was able to channel her emotions and express them in a positive way. Ke-Anna has found her calling in life and has been with the VOU School for 5 years doing Hip Hop and contemporary since the very first term when she was only 11 years old. Since joining Ke-Anna was chosen to represent the country in the first ever hip hop team to travel to Las Vegas and compete in the world championships. She also travelled with VOU to China where she performed traditional and contemporary Fijian dance to new Chinese audiences. She was on VOU’s recent tour to Europe in 2016 and travelled to France, Lithuania, Latvia, England, Slovenia and Scotland. She was also part of the team that went to Marbella Spain in May 2017. After winning a major inter-high school dance competition Ben was encouraged by a teacher to come to VOU for dance classes and from there his talent was spotted and he was asked to join the company in 2012. Since then Ben has worked with various choreographers that have visited from around the world and he has performed hundreds of shows locally around Fiji. In 2016 Ben lead a team of dancers to tour Shanghai for a 2 month period, it was here he became very interested in Chinese culture and way of life. So he returned to Fiji and decide to lead the first group of permanently based dancers in Shen Zhen China. Ben’s group in China perform traditional Fijian dance on a daily basis at the Windows of the World Park in Shen Zhen. In 2018 Ben wants to find ways to give back to his community and mentor younger Fijians to believe in a life of arts and dance. The more Ben dances the more he has learnt that dance has become an integral part of him. Ta’arei started her own Multi-Cultural dance group with her relatives and friends when she was very young, she choreographed and organized this group that performed locally around Suva. Ta’arei has Kiribati and Fijian heritage from the Islands of Lau, and she is knowledgeable in Kiribati dance and other Polynesian dance forms from around the region. After joining VOU in 2014 Ta’arei has developed a passion and a skill of choreography and is one of very few female choreographers in the country. Some of her work includes ‘The Veiqia Project’ that was a research and dance work about the now extinct traditional art of the Fijian female tattoo, and various other short works she has made on the company that has been performed locally. Ta’arei choreographed a piece about the Fijian art of Masi making and what masi symbolises in Fijian life, from birth, celebrations, marriage and death. This piece was showcased to represent Fijian contemporary dance at the Festival of Pacific Arts in Guam and was toured around Europe to France and the UK. Ta’arei has travelled the world as a performer and recently managed a group of 6 dancers to perform in Shanghai in 2017. Ta’arei is the head choreographer and technique instructor for our Suva based VOU dancers and she strives to bring out the best of young Fijians natural physicality. Ella has had some contemporary and Ballet training growing up in Fiji from a few expat teachers that have come in over the years. In 2012 she started dancing with the VOU School doing Contemporary dance and in 2014 she joined the VOU Company. In high School Ella was a part of the Chinese Youth Social Cultural Association at Yat Sen Secondary. With this group she toured to China twice to represent Fiji in the Bridge International Competition where she performed traditional Chinese fan dance as her talent. Ella says that dance makes her feel very comfortable and content in her skin as a young woman. Ella believes there is huge potential for dance in Fiji. However, there is still stigma surrounding contemporary dance and dance as a professional career path, and we have to overcome that in order to tap into the vast amount of talent that Fiji holds. Edwin believes that he can express himself through dance, that it helps him to take his mind off things and is a mental release. Whilst he was growing up he thought that music was his favourite artform and played the guitar for many years, but one day he was doing a tribal dance for VOU when he realised that something had changed and he now loved dance more than music. He is our VOU Billy Elliot and keeps on dancing against all odds! Edwin has been on several tours with VOU including China, Bali, Singapore, England, France, Scotland, Latvia, Lithuania, Slovenia and Spain. He is currently organizing tours for VOU and was trained under the tutelage of our previous Digital Marketing Manager and Tour Organizer, Vanessa Eden who was with us as a volunteer from AVI for one year. Sevu’s talent was spotted at an audition for the Dancing Superstar contest and he was offered a scholarship to dance with the VOU School. He then joined the VOU School in Nadi and trained there for one year. His raw talent shone in all the contemporary and Hip Hop classes that he did, so when he moved to Suva to attend USP he was invited to join the company. Sevu is now working full-time with VOU as a Costume Designer and Costume Manager. He is also a teacher and is a favourite among our 3-4 year olds. He has an eye for detail and has been using his sixth fashionable sense to make amazing costumes. Sevu wants to keep the fire of creativity that dance brings to his life and feels that ‘Dance is an expression of a being through movement’. Sevu has toured with VOU to Shanghai for three months where he has learnt immensely about costume keeping and construction especially when on tour. Rosie has followed in the footsteps of her older sister Ta’arei and become an exquisite young Fijian artist. Rosie started taking class in various forms of dance in high school such as contemporary, Hip hop and cultural dance. Since joining VOU she has danced in places such as Indonesia, Singapore and toured to Austria and the UK where she performed in a contemporary piece analysing Fijian ceremony and she played the central character for the award winning work “Are We Stronger than Winston?” at the Origins festival in London. Rosie carries a powerful mana within her even at such a young age, and she hopes to continue to share her passion and talent for dance with the world. Evangeline discovered her natural gift of dance in Hip Hop dance classes at the VOU School. After joining the company in 2016 she has continued to develop as a brilliant performer and has performed many different genres of dance all over Fiji. Evangeline was recently selected as a dancer to represent Fiji at the World Expo in Kazakhstan, where the Fiji team danced alongside dance groups from over 130 different countries. Out of all the various performance groups at the world expo the Fiji group was one of only 6 groups chosen to do a special large scale show for the President of Kazakhstan alongside the national orchestra. Evangeline wants to continue to develop her dance practise and is interested in dance pedagogy and how dance can be instrumental in a holistic education. Akuila and his twin brother Adriel are a talented singing duo, they have sick rhymes and sweet harmonies. Apart from their vocal magic they also rock the dance floor – especially in the Hip hop genre. The twins recently returned from representing Fiji in Shanghai for a two month tour, Akuila also teaches gymnastics and Hip hop in the VOU School Suva. Elisio first came to VOU as an enthusiastic scholarship student at the VOU School. His determination and passion for dance helped him to join the company as a full time dancer. Elisio now teachers Hip hop at the VOU School Suva and will go to perform in Shen Zhen, China for one year in 2018. Adriel like his twin Akuila is of course a very talented musician, artist and dancer. He is talented in composing and choreographing. Adriel and his twin I am sure will take the world by storm, not only that he has a heart of gold. Adriel teachers gymnastics and Hip Hop dance at the VOU Dance School in Suva and also travelled to Shanghai, China with the VOU team for a two month tour. Evelyn is a delicate dancer with a unique and feminine energy. She recently traveled to Kazakhstan where she represented Fiji in the World Expo 2017. Bailey is a dancer of enormous energy and enthusiasm, and is always a crowd favorite! He recently returned from representing as a dancer with VOU to the World Expo in Kazakhstan. Elizabeth is a very expressive dancer who always loves to tell the audience a story. 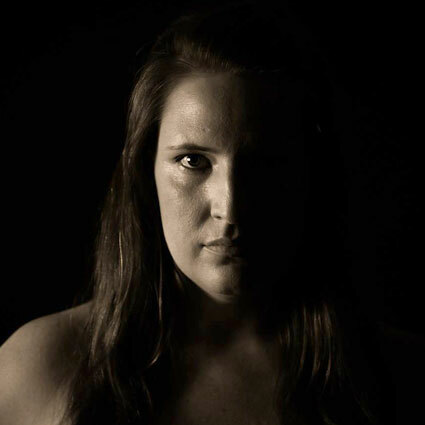 Since joining VOU she has been on many dance adventures to Bali, Singapore and most recently on the VOU European tour to Austria and to the Origins Festival in London where she was a part of the staging of VOU’s award winning work – “Are We Stronger Than Winston?”. Bernadette set the Shanghai stages on fire during her two month tour there with the VOU Dance company! She is a talented young Fijian woman proficient in the languages of Pacific, Hip hop and Fijian dance. Bernadette embarks on a new journey as she is going to dance for one year in Shen Zhen, China in 2018. Crystal is a determined young woman who is always trying her best to improve herself as a professional performer. She is currently dancing in Shen Zhen, China where she has picked up how to speak in Chinese. We are very proud of how far she has come as a performer. Andre is not only a talented dancer he is also a gifted fashion designer who won the top designing prize for the Jejemon 2015 fashion show. Andre is now based in Shen Zhen, China as a professional dancer at Windows of the World. George hails from the island of Vanua Levu and moved to Suva with the dream of joining the VOU Dance company. Since joining he has travelled to Shanghai, China to dance and now teaches Hip Hop in the VOU School Suva. Next year George will be based in Shen Zhen, China. Koleta followed in the footsteps of her brother Tevita Tobeyaweni to become a professional dancer. Koleta has just returned from dancing in Shanghai, China and is set to return to be based in Shen Zhen next year. Koleta says she has found her purpose in life – communicating and sharing mana through the magic of dance. Growing up in the Lau islands, Lekima always had a love for dance, he has since moved to Nadi and after dancing professionally as a fire dancer he then decided he wanted to develop as a contemporary dancer and he is now a part of the VOU Nadi company. Maggie is a dancer of full of life contagious enthusiasm, after first traveling to China with a small group of dancers to Beijing she decided to return to China to work as a dancer with the VOU group that is based at the Windows of the World in Shen Zhen. Mere is an accomplished Polynesian and Fijian dancer, she also is a fantastic teacher of the children in the Kids Creative classes at the VOU School. Mere is touring to China for the first time next year to be based at the Windows of the World Park in Shen Zhen. Marsefo is the youngest dancer in the VOU family and always hits the stage with an explosion of energy, she is still in her last year of high school and plans to become a professional full time dancer upon graduation. Ruhi was the winner of best female dancer at the national Kula Dance Competition, part of her prize was winning a scholarship to come and further her passion for dance at the VOU Dance School. After joining the school she was invited to come and join the company, she teaches Bollywood dance and Hip hop at the VOU School in Nadi.